Samsung Premium Experience Store Opens its Doors in Pavilion Kuala Lumpur. Kuala Lumpur, 29 January 2018 – Samsung Malaysia Electronics celebrated the official opening of its latest Samsung Premium Experience Store in Pavilion Shopping Centre, to give Samsung fans in the city another outlet to fully experience the Galaxy ecosystem. 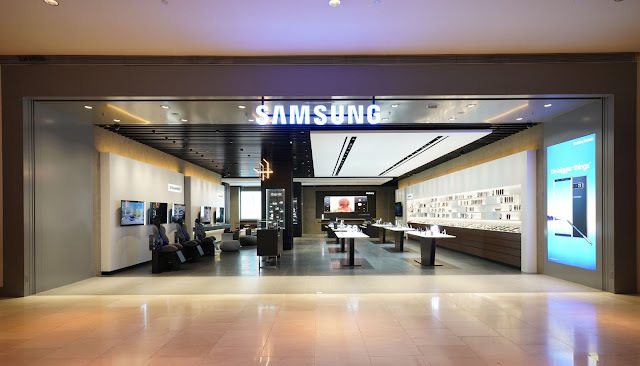 Located in Kuala Lumpur’s golden triangle, city dwellers can immerse themselves in all of Samsung’s innovations at this premium experience store. Apart from that, from now to 18th February 2018, Samsung is running some opening promotion activities. To find out more details on the activities, please visit: http://www.samsung.com/my/offer/mobile-ses-pavilion/. Steve Lee SangChul, President and CEO of Samsung Electronics Southeast Asia and Oceania, welcoming the media and Samsung fans to the official opening of the Samsung Premium Experience Store. The Samsung management team officially launching the store together with the Malaysian YouTubers and Samsung fans.